There is nobody in the world who doesn’t love crepes. 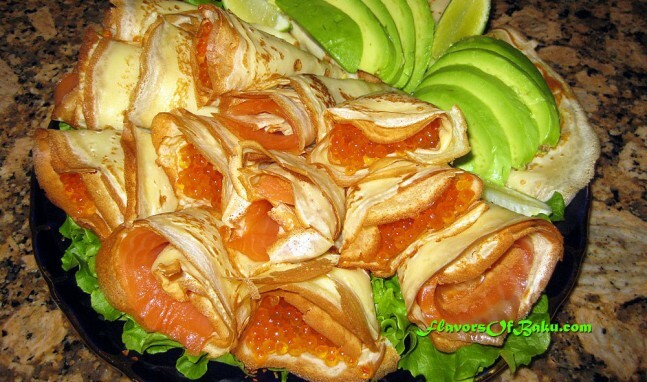 Crepes with caviar and smoked salmon are the fanciest and yummiest snack ever! 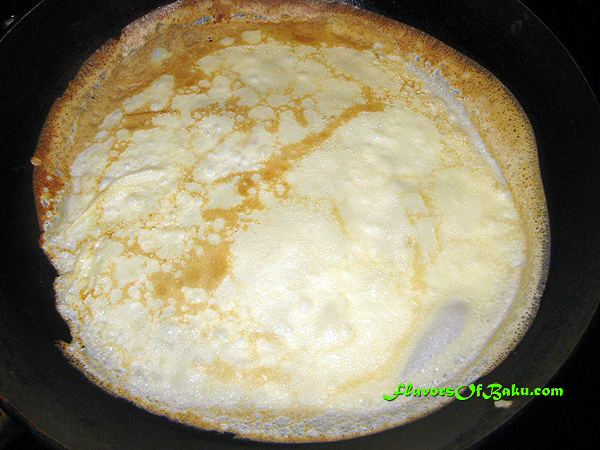 Crepes or as we call them Blinchiki, are very popular in Baku City and every housewife knows at least one recipe for this delicious dish. 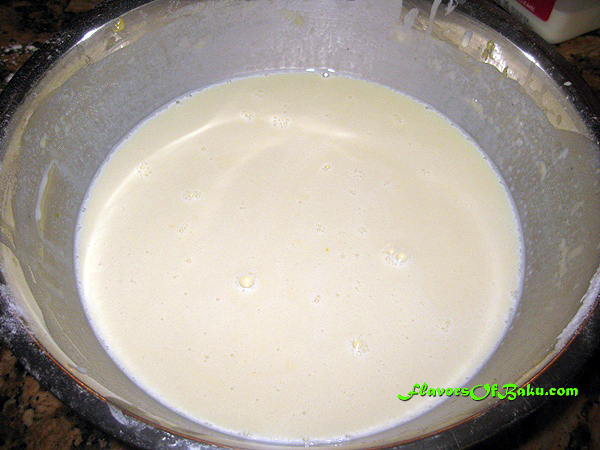 Slowly start adding the warm milk and whisking until the consistency of the batter is about the consistency of heavy whipped cream. 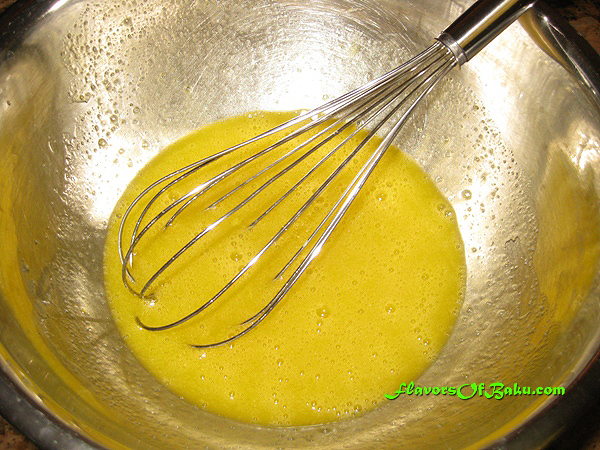 Then set the batter aside for an hour in room temperature. 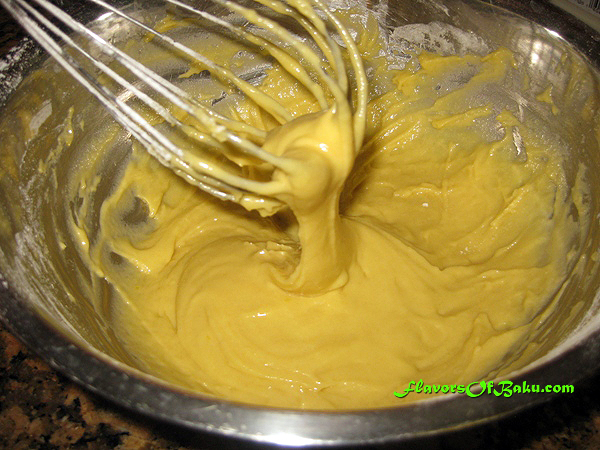 If your batter is too thick, add some more milk and mix. them. Place the pan back on the heat. 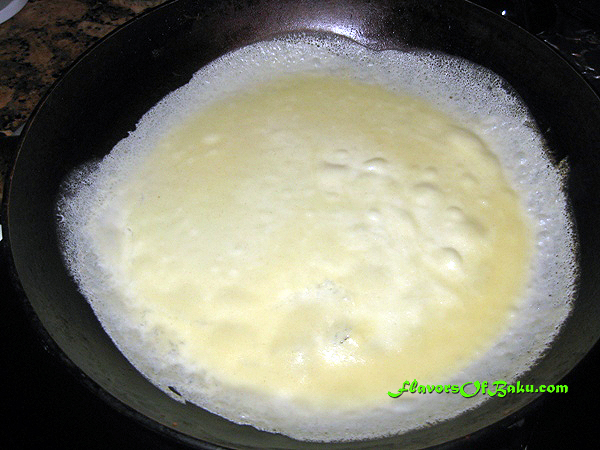 When the crepe has firmed up (the bottom will slightly brown and top will lose its shine), use a heat-resistant spatula to carefully loosen the sides and gently flip the crepe over using your fingers. Cook for a few more seconds and move it onto a plate. 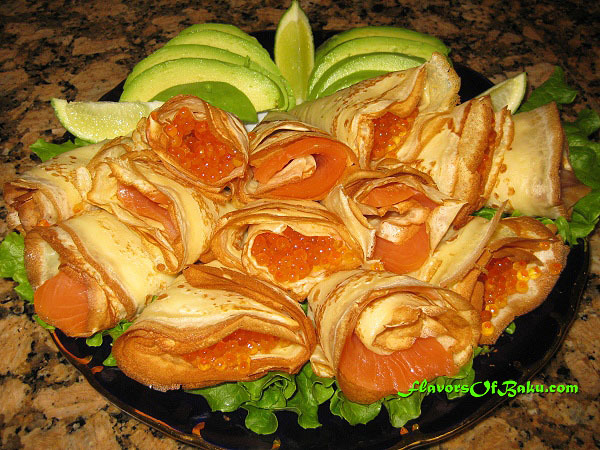 Let your crepes to cool down, then fold each crepe in half, place the caviar or smoked salmon on it (as much as you’d like) and fold or roll them up to any shape you desire. If you’d like, you can prepare your crepes in advance and store them in the refrigerator in a covered container for a few days before stuffing and serving them. 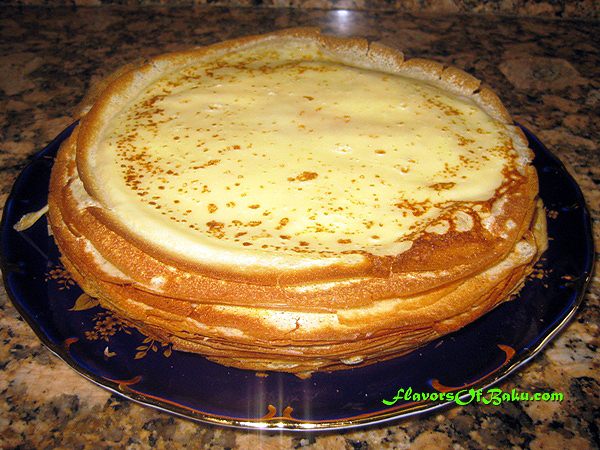 When you store your crepes in the refrigerator, place some paper napkins under and on top of the stack of crepes to prevent them from getting wet. Serve as a snack or for breakfast and garnish with avocado and lime.